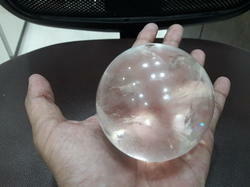 we are importer for crystal ball in led light . Our company has gained name and fame in presenting Unakite Sphere. According to feng shui green crystal helps in to improve welath luck, career and health. It can be hanged in south-east corner of home or bed room where it is more powerful and genreates quick result. Green crystals helps in attracting auspicious chi (Energy) wherever it is placed. 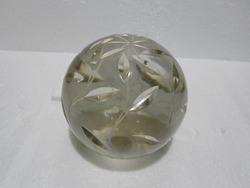 We are a unique entity in the industry, actively committed towards offering an optimum quality range of Agate Crystal Ball.